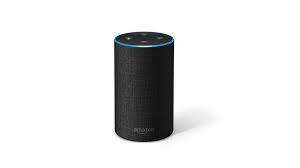 UU A Way Of Life: Ask Alexa - Will I see my loved ones in heaven? Ask Alexa - Will I see my loved ones in heaven? Alexa: Will I see my loved ones in heaven? No, in heaven the ego has dissolved and everybody will love everybody all the time regardless of special relationships formed on the path of the ego. Alexa: What do you call Santa's helpers? Alexa: Is this blog worth writing? Yes, even if nobody reads it, the Holy Spirit uses it to help you with your lessons in this life so that you may become more loving and aware of the holiness in the world.